From time immemorial, the use of gemstones has been prevalent. There has been interesting stories about the origin of gems in various puranas. 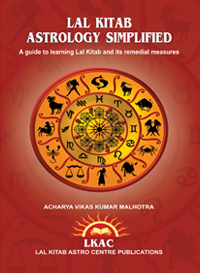 They have been an integral part of remedial measures used in Astrology. Every gem has the power to absorb the radiation which is emitted by a particular planet. Each of the gemstone has different color and luster. Through observation of colors in the prism, we can get seven colors (VIBGYOR). The other two invisible colors are infra red and ultra violet. The spectrum of total nine colors is associated with nine planets in the zodiac system. If the gem is worn on the consultation of an expert astrologer, it would help in enhancing the positive energy of a particular planet in the horoscope. This is due to the reason that wavelength of colored light which emanate from the nine planets matches with the radiations emanating from each planet’s gemstone. As far as choosing the right Gemstone is concerned, it is better to consult a good astrologer who after looking at various combinations in the individual’s horoscope can advice for wearing suitable gem. In general, the stone of ascendant or lagna lord is considered as the best for improving self confidence, health, well being, self esteem and recognition. All the gems are related with a particular planet in the Zodiac. A brief description of such gems, their utility and related planet has been given below. Ruby is the stone for planet Sun who is regarded as the ruler of all planets. It bestows name, fame, recognition, ability to command in work environment of wearer. It improves the strength of the heart, vitality of the body and it also has the power to subside Vayu, Pitta and Kapha problems. Ruby works with flow of blood as an aid to circulation. It aids in cleansing and removal of infection and germs in blood. It is also beneficial for those persons who aspire to have high positions in government and public sector undertakings. It should be made in gold ring and should be worn in the ring finger at the time of sunrise on any Sunday. Pearl is the gemstone of Moon. Pearls are formed in shellfish especially Oysters and Mussels. The main feature of pearl is that it has soothing effect. Usually they are of white color but they are also found in pink, blue, silver, yellow and black colors. It bestows happiness, loyalty and good health to the wearer. It also provides emotional stability, controls anger, calms the mind and provides domestic happiness. It helps in removing calcium deficiency and also effective in reducing excess heat of the body. It also results in clarity of thoughts of the native. Pearl can be made in a silver ring and can be worn in smallest finger of right hand on Monday evening or when the moon is rising. Coral is made due to skeletal remains of marine animals called Coral Polyps. It is a hot gem. Red coral is used to improve mars. If Mars is weak, debilitated, combust or forming Mangal Dosha in your horoscope, Red Coral may help you a lot. If the Mars owns an auspicious house, it can have a positive impact as it can improve the effect of Mars which is a planet of action. It would remove obstacles in marriage and will also be effective in overcoming marital problems. Medically it helps in tissue regeneration and increase in blood cells. It can be made in a gold ring or copper ring and can be worn on Tuesday after 1 hour of sunrise in the ring finger. Emerald/Panna in Hindi is the gemstone of Mercury. Mercury is regarded as the prince among nine planets. It denotes wisdom and voice. It is generally worn to improve one's business, trade and communication skills. It also results in sharpening of intellect of a person. It is very useful for diplomats, scientists, businessmen, publishers, teachers, astrologers and other people doing intellectual work. It also results in increase in reasoning power and presence of mind. It controls nervous energy and channelizes it in the right direction. It is also effective in curing headache, epilepsy, hernia and hysteria. It can be made in a gold ring and can be worn on Wednesday after two hours of sunrise in the little finger. Yellow Sapphire represents planet Jupiter. It is basically Corundum and comes in many other colors also. 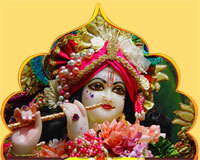 Jupiter is regarded as the guru of Devtas and represents wisdom also. The wearer of this gemstone gets the knowledge of law, ethics, wisdom, worldly happiness, physical power, long life, good health and financial prosperity. It also brings stability in marriage and happiness from children. It helps in removing the delay in marriage. It helps in tackling weakness, shivering feelings and help in healing leprosy and skin diseases. It can be made in a gold ring and worn in index finger on Thursday before one hour of sunrise. It is the hardest mineral on earth and has good luster and brilliance. It is one of the most expensive gemstone in all gems. Diamond is recommended for planet Venus and it is believed that a good diamond enhances the artistic quality of a person. It also increases sexual power, cure diabetes, urine diseases and skin diseases. It is also good for increasing the harmony, peace and prosperity of married couples. White Sapphire, White Coral or Opal could be worn as substitute for diamond by the people who cannot afford its high prices. It should be studded in silver, gold or platinum and can be worn on Friday morning in the ring finger between sunrise and 11.00 a.m.
Hessonite or Gomed is also called as Cinnamon stone. It is recommended for removing the adverse effects of Rahu, the north node of the moon. It also helps in overcoming obstacles in professional life and defeat enemies. It is advisable to wear this stone very carefully on the advice of an expert astrologer because if it does not suit the wearer, it may give adverse effects. If it suits the wearer, it can help in improving stamina and security and assures a healthy long life. It also wards off impact of evil eye on the wearer. On the positive side, if Rahu is placed in a good position in natal chart, a person can wear Gomed to increase good effects of Rahu. Through it the individual will be able to make his or her mark in the competition and achieve professional success. It could be made in silver/five metals/eight metals ring and can be worn on Saturday evening in the middle finger after sunset. In Sanskrit, it is also called as Vaidoorya and in Hindi it is called as Lahsunia. It is hot in constitution and is available in a range of colors. It is recommended for Ketu, the south node of the moon. This stone becomes crucial in improving career, business or trade and it also has the capability to calm the mind, provide patience and imbibe clarity of thoughts. It is very crucial for people involved in spiritual practices. It can cure chronic diseases, eye diseases, urinal problems, back pain, joints pain and also protects from secret enemies. Cat's eye gemstone should be made in silver/mixture of five metals and worn in middle finger on Wednesday, Thursday or Friday two hours after the sunset. Blue sapphire is a compound of aluminum and oxygen. 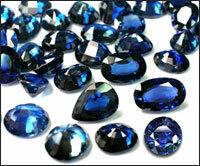 Blue Sapphire represents planet Saturn or Lord Shani. Saturn is seen as the "Jewel of the Solar System" but many people have different myths about this planet. They feel that it is a malefic planet which throws misfortunes on them. This is however not true because Lord Shanidev is expected to deliver results based on the "karmas" of an individual without any bias. People often visits Shani Temple on Saturday and offer mustard oil to Lord Shani to forgive their troubles but with fear and without faith. This is the reason they are not able to get blessings of Lord Shani. Those people who visit Shanidev temple with full devotion and faith are able to sail through their difficult periods and get unexpected gains. 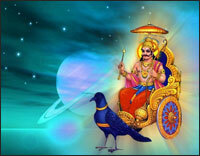 The transit of Saturn and phases like Dhaiya and Sade Saati should not be observed with fear or punishment. It is a time where a person learns many hard lessons which prove to be crucial in his future successes. There are many people who have progressed significantly in their lives in the Maha Dasha/Antar Dasha or transit periods of Lord Shani. If a person prays to Lord Shani with full devotion and faith and keeps his acts good, Lord Shani blesses him with tremendous success, money and prosperity. Blue Sapphire can be worn for getting the blessings of Lord Shani and it will also remove any malefic effects of ill placement of Saturn in the horoscope. It is crucial in removing eye problems, cough problems and also increase longevity. This gem also restores lost wealth and property, counteracts the envy of enemies and removes the evil eye. It can also help in curing and fighting kidney troubles, nerve pains, epilepsy, hysteria, and paralysis. Blue Sapphire is most useful especially for contractors, transporters, property dealers, mill owners, dealers in machines or iron and financers. It should be worn on the recommendation of an able astrologer and should be tested before wearing. The ring can be made in silver/gold or iron and worn in right hand middle finger on Saturday two hours before the sun set.